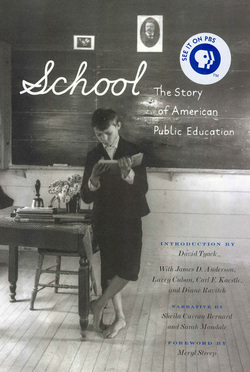 From the publisher: "... this timely history of America's public schools journeys through history and across the nation. Recapturing the idealism of our education pioneers Thomas Jefferson and Horace Mann, it describes the tumultuous growth of urban schools at the turn of the twentieth century, the fight for equality for minorities and women, and examines today's debates over privatization, charter schools, and vouchers. School features over 125 historic photographs and essays by esteemed historians of education David Tyack, Carl Kaestle, Diane Ravitch, James Anderson, and Larry Cuban."